In addition to the work at home option for its jobs generally, Dell almost always has jobs open designated as “remote,” with 80+ listed now. Positions include Account Executives, Consultants, Software Developers and many more. To see the “remote” jobs click here. For Dell jobs generally, click here (over 4,300 open). For more jobs like these, check our Newest Jobs & Gigs page. To be the first to hear about jobs like these, like our Facebook page. Our Facebook members also share tips on how they got hired and their experiences with the companies we cover. See you there! 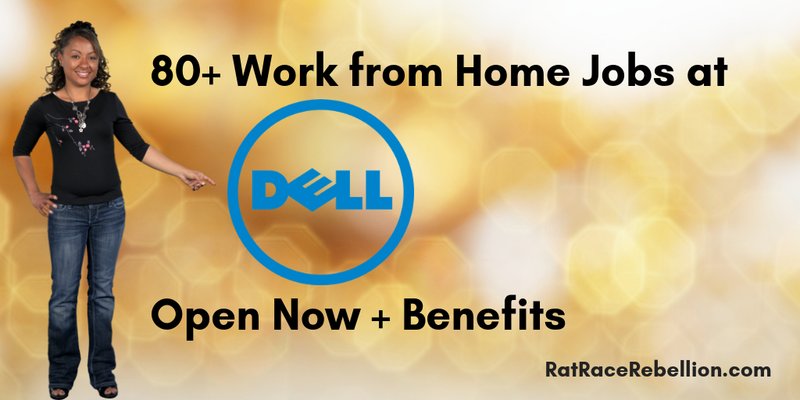 This entry was posted in Jobs with Benefits, Work at Home Jobs and tagged Dell. Bookmark the permalink.